The defence meanwhile denied claims that Bulger - who was arrested in June 2011 after 16 years on the run and was the inspiration for Jack Nicholson’s character in the 2006 film The Departed – was an FBI informant. The 83-year-old is accused of 19 murders, extortion, money laundering and arms trafficking, but reports that he served as an informer have raised questions about why it took federal investigators so long to track him down. Kelly described the Irish-American Bulger as a godfather in Boston’s seedy underworld, one who would not hesitate to strangle, shoot, kill or maim anyone he saw as a rival, informer or witness to his criminal activities. Bulger ”made millions extorting people” and “a ton of money selling drugs, especially cocaine,” Kelly said. He said Bulger served as an FBI informant from 1975 to 1990, helping to shut down two other crime groups that rivaled his own Winter Hill Gang. Bulger, who graced the FBI’s most wanted posters for more than a decade, watched the proceedings in silence. Defence lawyer JW Carney denied the allegations, saying Bulger would have never cooperated with the FBI and noting that much of the testimony against him comes from criminals with an incentive to cut deals with the authorities. “Bulger was never an informant,” he said. Bulger ”is of Irish descent, and the worst thing an Irish person can do is become an informant.” He added that Bulger had paid off the now-retired FBI agent John Connolly, indicating that the alleged mobster had infiltrated the police. “Ask yourself. Would an informant be paying tens of thousands of dollars to the agent? Wouldn’t it be the other way around?” he said. Connolly “wanted people to believe that James Bulger was an informant and he created a file.” Bulger faces 32 charges, to which he has pleaded not guilty. The trial is expected to last into September. Bulger was arrested in 2011 in Santa Monica, California, where he had been living under an assumed name with his longtime girlfriend. Police found some $800,000 in cash and an arsenal of weapons in his modest apartment. Authorities say Bulger committed 19 murders in the 1970s and 1980s and remained a leading Boston crime boss into the 1990s. His criminal activities allegedly included extortion, money laundering and even running guns to Northern Ireland’s IRA. 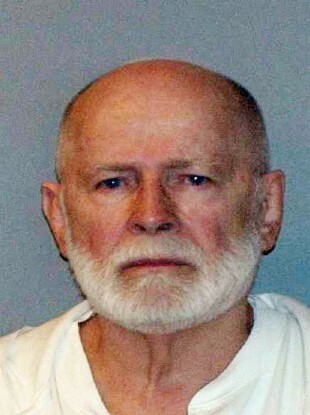 Bulger fled Boston in January 1995 after an FBI contact allegedly warned him that he was about to be arrested. He was spotted in London in 2002, and in California in 2000 and 2005, but evaded arrest. Email “Irish-American James 'Whitey' Bulger 'did all the dirty work himself' ”. Feedback on “Irish-American James 'Whitey' Bulger 'did all the dirty work himself' ”.